Marie Sophie Germain was a French philosopher, physicist, and mathematician. Despite initial opposition from her family and the society, she managed to gain education from books in her father’s library. Due to prejudice against her gender, Germain was never able to make a career out of mathematics. However, she did work independently throughout her life. Germain was born on April 1, 1776, in Paris, France. Most sources claim that her father, Ambroise-Francois, was a very wealthy silk merchant while others believe he was a goldsmith. Sophie’s father was elected as a representative of bourgeoisie to Etats-Generaux in 1789; he changed this into Constitutional assembly. It is therefore assumed that Germain was able to witness many discussions between her father and his friends on philosophy and politics. When Sophie turned 13, the Bastille fell and this forced her to stay indoors. To kill her boredom, Sophie turned to her father’s library where she became interested in mathematics. She pored over every book on mathematics in the library and even taught herself Latin and Greek. With those two languages, she was able to read works on Leonhard Euler and Isaac Newton. Her parents were not okay with the idea that their daughter loved mathematics; they tried to stop her. But eventually, they realized their daughter was serious. In 1794, Ecole Polytechnique opened. Since she was a woman, Sophie was barred from joining this school. However, she managed to get lecture notes and send her work to Joseph Louis Lagrange (a faculty member). 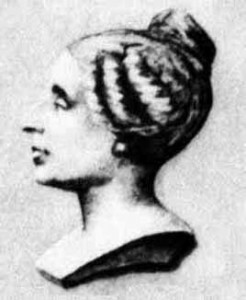 Sophie first developed interest in elasticity when she heard of a contest sponsored by the Paris Academy of Sciences. The contest was about Ernst Chladni’s experiments with vibrating metal plates. She submitted her paper in 1811, but she did not win the prize. She later tried the same contest again but failed. On her third attempt, however, she won and became the first woman to win a prize from the Paris Academy of Sciences. Sophie was first interested in number theory in 1798 after studying the works of Adrien-Marie Legendre. She later opened correspondence with him on number theory, and later, elasticity. After a while, Sophie lost interest in number theory. Later, in 1815, her interest was reawakened after a prize was offered for a proof of Fermat’s Last Theorem. She wrote a letter to Carl Friedrich Gauss. In this letter, she stated that number theory was her preferred field. She outlined a strategy for a general proof of Fermat’s Last Theorem. This letter contained the first substantial progress toward a proof in 200 years. However, Gauss never answered this letter. Apart from mathematics, Sophie Germain also studied philosophy and psychology. She wanted to classify some facts and generalize them into laws that could form a system of sociology and psychology. Two of her philosophical works were later published. In 1829, Sophie learned that she had breast cancer. Despite this, she continued her work and in 1831, she published her paper on the curvature of elastic surfaces. She also published principles of examination that later led to the discovery of laws of equilibrium and the movement of elastic solids. Sophie Germain died on 27th June 1831.